Four million years ago a Dyson sphere was built on the fringes of our solar system. A few thousand early homind species were transported from the third planet to colonise the vast spaces of the hollow world. On the third planet, and within the Dyson sphere, mankind evolved separately. For years Mega-City One has secretly been sending its most dangerous criminals through a matter transmitter to the sphere nicknamed Big Dunkin Donut. But now arch-villain Dennis the Complete Bloody Sadist is threatening to destroy the sphere - and Judge Dredd is sent to stop him. 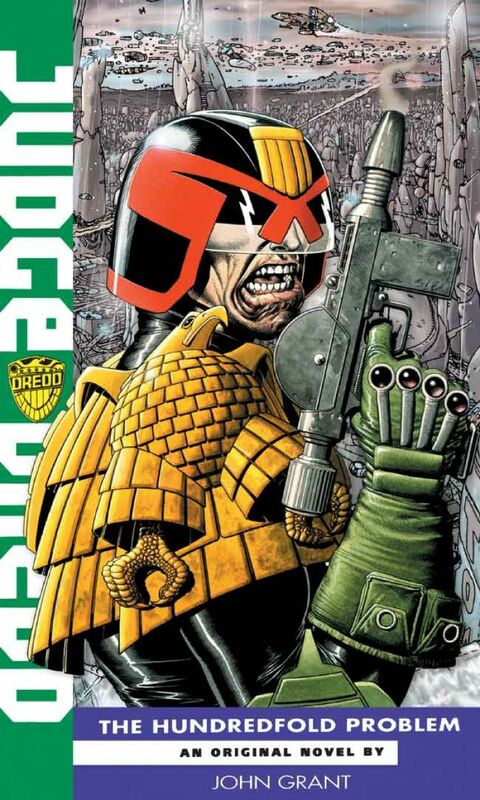 Dredd thinks his biggest problem will be Dr Petula McTavish, the xenotheologist appointed to accompany him - until a matter transmitter malfunction splits him into a hundred Dredds. And within the sphere, the immortal queen-goddess Korax knows the apocalyptic doom awaiting mankind . . .